Available for only $2.79 per oz over spot! Silver American Eagle coins are a popular choice among both investors and collectors. Available in bullion, proof, and burnished versions, it is the bullion option in the series that generates millions of units sold each year. The 2018 Silver American Eagle Coin is available to you now online for purchase at Silver.com in a Monster Box of 500 coins! Ships to you within a US Mint Monster Box containing 500 coins in total! 33rd release of the Silver American Eagle bullion coin! Walking Liberty by Adolph A. Weinman graces the obverse. The heraldic eagle of the United States by John Mercanti features on the reverse. This unique listing from Silver.com enables you to make a massive bulk purchase of 2018 Silver American Eagle coins in one transaction. Available inside of the US Mint Monster Box, you can now purchase 500 individual 2018 Silver Eagle coins. Each one of the coins is available in BU condition, giving you 500 Troy oz of .999 fine silver with a face value in total of $500 (USD). 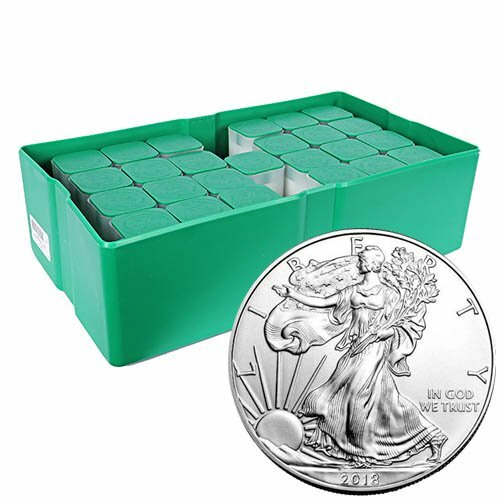 Inside of this Monster Box, the 2018 1 oz Silver American Eagle Coins are packaged in mint tubes. There are a total of 25 plastic tubes inside of the box, with each individual tube containing 20 coins. Silver American Eagle coins debuted in 1986 with a bullion and proof version, and the 20th anniversary in 2006 brought about the release of a burnished coin. In recent years, the bullion coin has garnered sales each year well in excess of 30 million units. 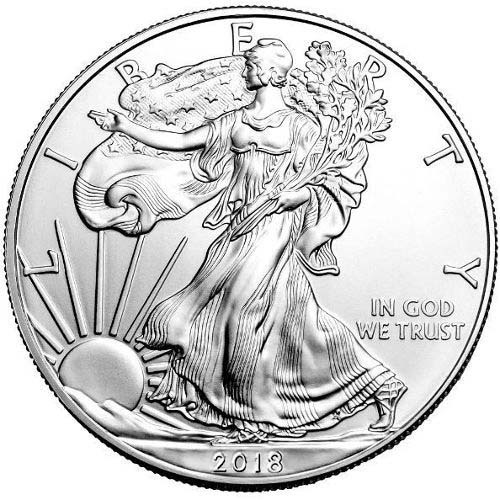 The obverse of all Silver American Eagle coins includes the image of Walking Liberty. This iconic design was created by Adolph A. Weinman in 1916, one of two he created that year along with the Winged Liberty bust. Walking Liberty was found on the half-dollar coin from 1916 to 1947. 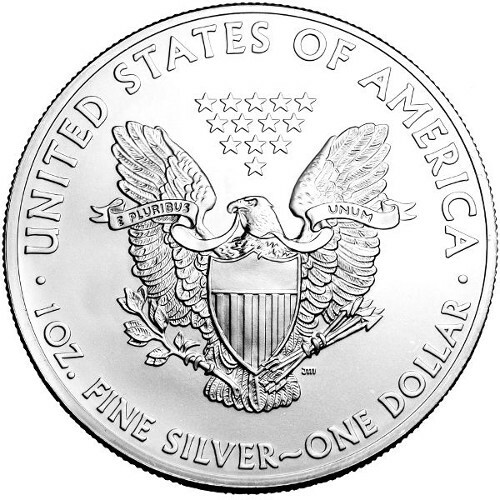 On the reverse of all 2018 Silver Eagles is the heraldic eagle of the United States. This historic design originated in 1794, and the modern version was refined in 1986 by John Mercanti, who retired from the US Mint in 2010 as the Chief Engraver. His design captures a sharp heraldic shield with the bald eagle set behind it. The United States Mint originally struck Silver Eagle bullion coins in San Francisco. The coins were struck in Philadelphia for two years from 1999 to 2000, and since 2001 have been produced at the West Point Mint. We encourage Silver.com shoppers to contact us on the phone at 888-989-7223 with questions. You can also connect with us online through our live chat and email address.